I walked into hot yoga after an incredibly stressful week and knew pretty much nothing about what I was getting myself into. I had the false notions that 1) I didn’t sweat very much and 2) I was good at yoga. This class completely blew those ideas out of the water. Hot yoga proved to be a very different experience that gave me a run for my money. Hot yoga is a derivative of Bikram yoga and features traditional yoga moves in a room heated to about 105 degrees. 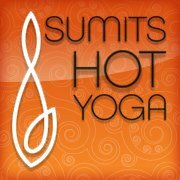 Columbia recently acquired a hot yoga studio called Sumits Hot Yoga, which is located off Nifong. A typical class lasts about 90 minutes and combines upbeat music, relaxation moves, cardio and strength training all in one class. For new clients, you can buy two weeks of unlimited classes for only $25. After that drop-in classes are $15 or you can purchase class cards for 10, 20, 30 or 50 classes. I purchased the unlimited 2-week package and ventured into the world of hot yoga. The studio is pretty spacious and has both men’s and women’s locker rooms. The locker rooms feature cubbies for your things, showers, changing rooms and other amenities like blow dryers and plastic bags for your wet clothes. They highly encourage you to bring a towel and a very large bottle. They also don’t allow cell phones in the actual yoga room. If you don’t own a yoga mat, do not worry. The studio will provide you with one for $2. After putting away my things, I walked into the yoga room and prepared for what I thought would be an easy yoga experience. I walked into the room and my first thought was “oh it’s not that hot in here.” That thought would be quickly proved wrong. The room starts off comfortably warm, and then the heat is raised throughout the class so your body can adjust accordingly. Then the class started and I began the longest 90 minutes of my life. It does not matter how athletic you think you are, this class will be near impossible your first time. They tell you this coming in and me, having taken maybe five yoga classes in my life, scoffed at them. Then the warm-up began, and by the end of the decently easy series of poses I was not only covered in sweat but also questioning why I had signed up to do this. It does not matter if it is your first time doing hot yoga or your 100th time, you will sweat like you’ve never sweat before. Everyone pretty much looks like they jumped into a swimming pool with their clothes on when they walk out of class. It is that hot. The class starts with a warm-up then progresses into a series of traditional yoga poses like warrior. There is then a cardio session, which features upbeat music and the hardest part of the class. It finishes with some strength training and finally gentle stretching. The heat allows your muscles to stretch farther and relax further, a big difference I noticed from regular yoga. Beginners are advised to take it slow and encouraged to sit down as much as they need. And if you are worried that you’ll be the only one sitting at any given point, don’t be. In the classes I’ve attended, the only one who never has to sit down is the yoga instructor. After class ends, you are free to go to the locker room and use the showers if you’d like. Most people bring a change of clothes and leave to take a shower at home. If you rented a mat, they clean it for you. Sumits also provides bottles of water, coconut water and snacks for purchase after class. What I enjoyed most about hot yoga is that I was literally so hot that I had no time to think about anything else. For someone who has trouble turning their mind off, I was surprised at how little I thought during the entire class. It was nice to be able to not think about my classes, work or my to-do list for a whole 90 minutes. As much as I hate sweating and as hard as this class is, it did make me feel significantly better the next day. I felt like I had way more energy than usual despite having a 9 a.m. class. It did get easier after the first time, and I still received the same benefits. It is an amazing workout. Hot yoga is a huge calorie burner. One 90-minute class burns almost 1,000 calories or the equivalent of running full speed on a treadmill for an entire hour. Immediately after finishing the class there is a great sense of accomplishment. I definitely felt like I had done something good for myself. It’s hot. Like sitting in the middle of the desert in July hot. If you don’t like sweating, then this class is not for you. You will be literally dripping in sweat the entire class, and for some people it is a little too much. I felt a little like I was going to pass out for half the class. If you can get over how hard the heat makes the class then you’ll enjoy it. However, if you pass out frequently or get overheated easily, I’m not sure this class is for you. You have to prepare. Doing hot yoga requires scheduling it heavily into your day. You have to make sure you drink lots of water throughout the day or hot yoga could become very dangerous. Hot yoga is also easier on an empty stomach. Sumits recommends that you stop eating two hours before each class, which can be inconvenient for some. It’s expensive. After the new client trial period, hot yoga becomes a significant investment. Even with the student discount, you will be paying top dollar. A class card for ten classes is $96 with the discount, and it only goes up from there. As a college student, I have trouble justifying paying that much for a class when I can go somewhere like the Rec for free. Even a semester’s worth of Tiger X classes is cheaper than hot yoga for a month. Hot Yoga is a great option if you really need a challenging workout or want to try out something new. However, prepare to shell out a lot of money for the benefits. Yoga is the best therapy. You can use specific yoga exercises and yoga poses to improve some distinct physical and mental conditions. Yoga exercises that will help you improve your areas of concern and feel your best.